To receive assistance with your child support enforcement you must first sign up with HFS (llinois Department of Healthcare and Family Services) for the Title IV-D Program at the appropriate regional office. Any custodial or noncustodial parent is eligible for the Title IV-D Program regardless whether they are receiving any benefits from the State of Illinois Department of Human Services. The services are also available even if the parent failing to pay support resides in another state. The program can help you establish paternity, set support, modify support, extend support or file pleas to address the nonpayment of support. By law the, the DeKalb County State’s Attorney’s Office cannot intervene in a child support case at all, and the Attorney General cannot unless the case is registered with HFS. 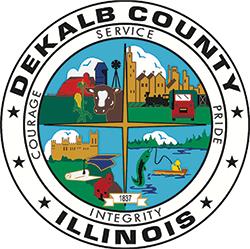 Prior to July 1, 2014, the DeKalb County State’s Attorney provided legal representation to the “Illinois Department of Healthcare and Family Services” (HFS)/Division of Child Support Enforcement (DCSE) under the authority of Title IV-D of the Social Security Act and the Illinois Public Aid Code in matters of the non-payment of child support. This function has now been transferred to the Rockford Office of the Illinois Attorney General.